Prof. Hilaria Cruz was interviewed on the podcast "Lingthusiasm" to discuss her work to communicate linguistics to a wider audience. How did artifacts from Roman tombs make it to Louisville? How did North Dakota villagers survive smallpox and carry on after the disastrous disease spread? Those are topics for an archaeology lecture series this fall at the University of Louisville. University of Louisville President Neeli Bendapudi joined the Yearlings Club in 2018 to talk about her vision for the university and its relationship with west Louisville. Poets and a novelist will interact with University of Louisville students and faculty about their work when they come to campus this fall for a literary series featuring distinguished writers. Kelly Vetter, a senior communications major from Louisville, spent the summer studying at the University of Economics in Prague, Czech Republic, as part of UofL’s Study Abroad program. A fall luncheon lecture series will serve up a wide range of topics from University of Louisville researchers, who will discuss recent views from space, laughter without humor, epidemics in medieval Europe and a fresh look at heroes of Spain’s reconquest. Scientists at the University of Louisville in Louisville, Ky., are working on a method to generate hydrogen fuels that significantly lowers energy use. This research on catalysts for hydrogen attracted combined funding of more than $1 million from the National Science Foundation (NSF) and Department of Energy (DOE). The author will discuss food insecurity, charities tasked with tracking it and the business of hunger. 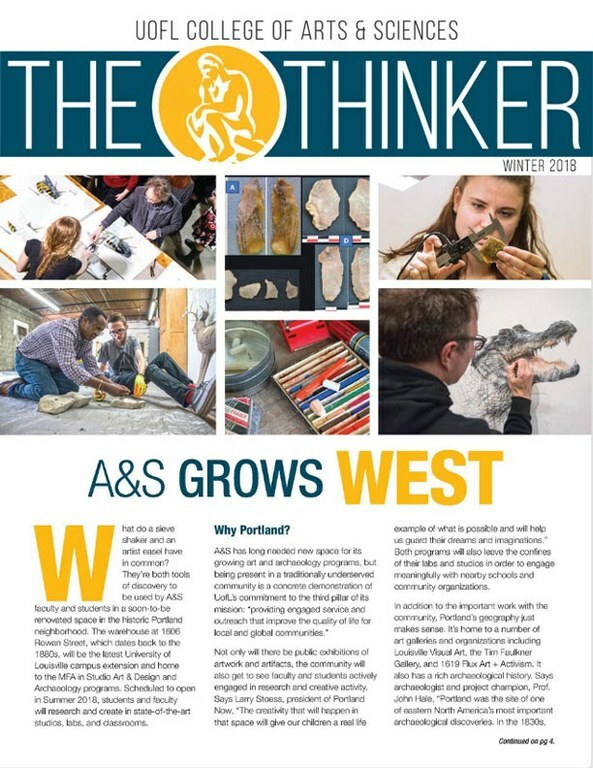 Dr. Jafar Hadizadeh, Professor of geography and geosciences, gave his insight to Louisville Magazine about the very fossils under our feet that could tell a story from as far back as 400 million years, or more.